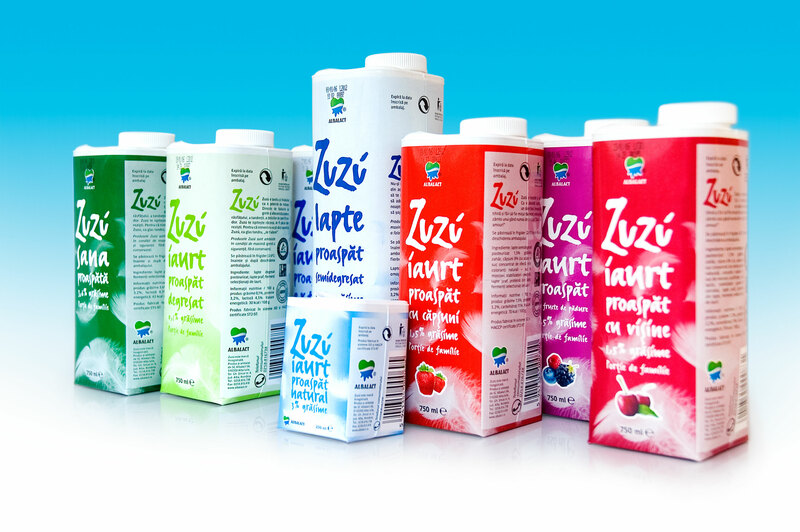 Albalact, one of the biggest players on the Romanian dairy market, commissioned Brandient for the creation of a new yoghurt brand. The local yoghurt market, dominated by a global player, revealed a stressful branding, with media channels inundated by a medicine-like approach and suggesting you rather have to be in pain in order to drink yogurt. This was one of the insights on which Brandient created a new yogurt brand for Albalact. Aiming to the urban, young, educated, above average income target, Brandient created Zuzú — an unconventional name — which is instantly memorable and induces familiarity and coolness. The package design achieves both high shelf visibility and clear line extension rules. With a clean, minimalist approach and the rather unexpected use of feathers, the modern and peculiar package suggests naturally the feeling of light and gentle, and consequently supports the verbal identity. • Pentawards Bronze Award in 2007. • Identity Best Of The Best Nominee in 2006.